The nature of how people communicate has changed in the last twenty years in ways that no one could have predicted. So when it comes to a day like today, built around telling someone special exactly how you feel, there are now a multitude of public, private, digital and non-diital ways to do it. 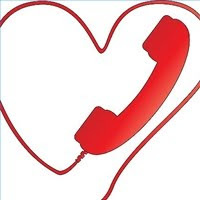 What may surprise you is that a poll conducted by The Carphone Warehouse has revealed that 53% of people use their mobile phone to say I love you on St. Valentine's Day. Taking the last point to heart (pardon the pun), Carphone Warehouse have announced that they will be offering a FREE selected Pre Pay phone to anyone that buys the Nokia C7 on O2 Bill pay. Visit www.carphonewarehouse.ie for more information.